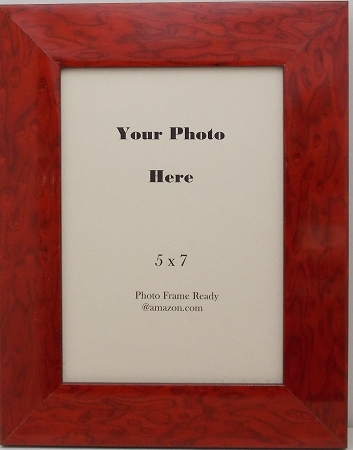 Tabletop wood 5x7 Photo Frame colored birds eye. Dark red moulding has a swirl pattern. Photo frame opens from the back for easy loading of photo. Frame includes mounting board, glass, velvet easel and gift box. The photo frame can stand both horizontal or vertical for display.